Fundraiser by Jon Passow : Help PS Farms Change The World!! Help PS Farms Change The World!! Our small, self-sufficient, organic farm has a big vision to share. Here at PS Farms in Northern California we are plotting to change the world, one sustainable step at a time and we need your help to do it! We are looking to kick-start our new off-grid, 10-acre farm into a micro-local example of how small farms can change the world. Blending age-old practices, like using mud to build cob housing, with modern technology, like tapping solar for power, we are pioneering a contemporary approach to sustainable living and farming. We invite you to support us on our mission with a donation to our campaign! We’ve been working toward this moment our whole lives, and PS Farms is our final frontier. Our goal is to not only feed our local community, but also serve as an education hub. The farm is about sharing a larger vision with like-minded folks, and our campaign is a natural way to involve supporters in this movement from the very beginning. However, this is not a make or break campaign. We will still be starting the farm even if we don't meet our goal and that's why every donation counts! Help us make our dream a reality! 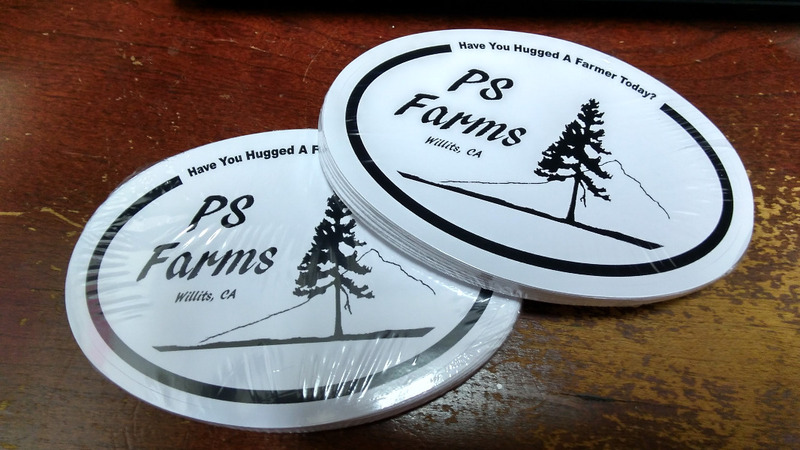 What makes PS Farms special? In an age of big agriculture – even in the organics industry – where farming and shipping practices rely heavily on fossil fuels and are often at odds with sustainability, our farm will prove that a community can be served by small farms that are completely off the grid. Using solar power, water from a year-round spring and catchment systems, creating natural fertilizers, making our own herbicides and pesticides from farm grown herbs, constructing buildings from the earth, including composting toilets, we will prove that small sustainable farms embedded in communities can be a successful business and lifestyle model that also empowers other people through healthy choices and education. We intend to have PS Farms serve as an education center on sustainable farming practices. From a program that brings local school children out to learn the basics of where their food comes from, to teaching innovative low-impact farming and sustainable living techniques through an internship program at our local college, PS Farms will share our combined skills and knowledge with all who are interested. Our mountain community needs this education center and we can't do it without the farm. Who are P & S? 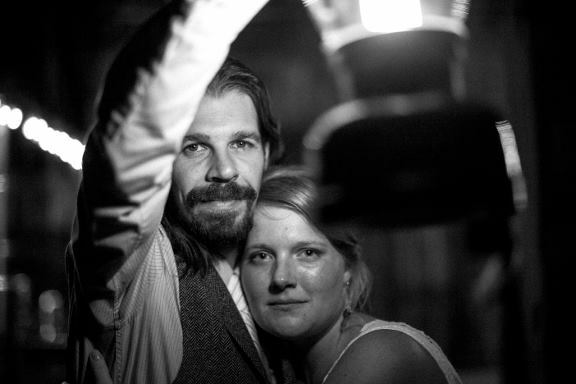 PS stands for Jonathan Passow and Anna Sommers (my wife and I) and we are not new to the game of farming. We are a young “dream team” that already has decades of combined experience and education in sustainable farming, subsistence living, product development and more. For Jonathan, it goes back to 2nd grade. Starting with a love of sprouting plants without soil, it continued into carnivorous plant breading, and by 2003 he started his first organic garden plot in Los Angeles. Not long after he expanded to a bio intensive, medium-sized urban farm and mastered the arts of canning, dehydration, and pepper product manufacturing, even launching his own blend of pepper powders named “Passow’s Spicy Blend.” By 2005, Jon was managing a crop of over 200 organic pepper plants with 27 different varieties, including his own stable variety of hot pepper known as The Passow Piqrano (a cross between the Fire Serrano and Piquin Pepper). His garden included companion plants like beneficial insect attractors and trap plants, bringing together his knowledge and skills for creating a dynamic ecosystem that nurtures healthy crops. Anna Sommers’ has had her nose in the books and hands in the dirt for more than a decade to help her move toward this goal. She started her agricultural education on an organic herb farm in Peninsula, Ohio handling livestock and weed management. After five years, she was managing the entire commercial herb operation, including: starting, transplanting, pest and weed control, soil management, value added products production, and sales. She decided to back up her hands-on skills with a BS in Environmental Science focused on sustainable agriculture. Fittingly, her senior thesis was entitled “Subsistence Farming in Northeast Ohio: A Start-Up Guide.” She also pursued a certificate in Sustainable Living Skills from Aprovecho Sustainability Education Center, located in Cottage Grove, OR. Aprovecho offers an intensive training program in organic gardening, appropriate technology, and sustainable forestry. All of her experience and education has helped her to cultivate an accurate view of daily life on an operational farm, and what can realistically be accomplished. 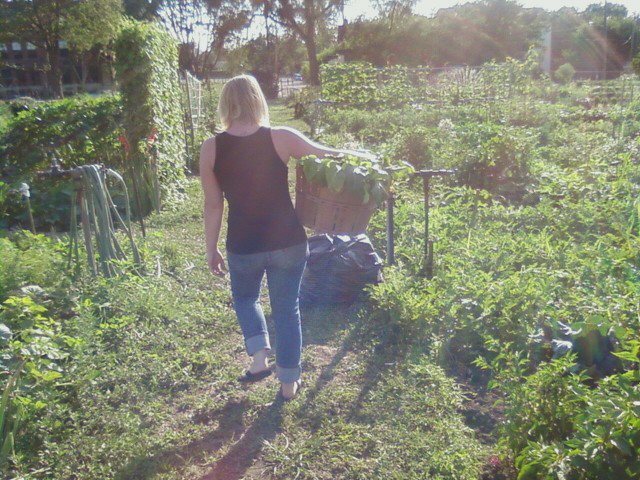 We brought our passion and skills together back in Cleveland, Ohio where we had a small plot in the city’s oldest organic community garden. 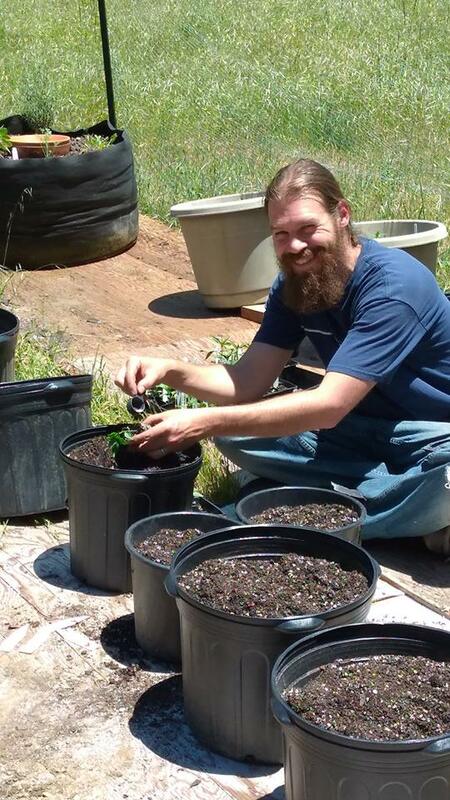 We sold 4 varieties of hot peppers, greens and jam to our local community, and together published an organic farming primer, teaching novice gardeners how to grow their own food. The guide is now for sale and required reading for new gardeners at Kentucky Gardens in Cleveland, Ohio. But Cleveland was not our promised land. We felt the tug and followed our pioneering spirit to California. Our move west was not simply to attain better jobs, or start our lives over. 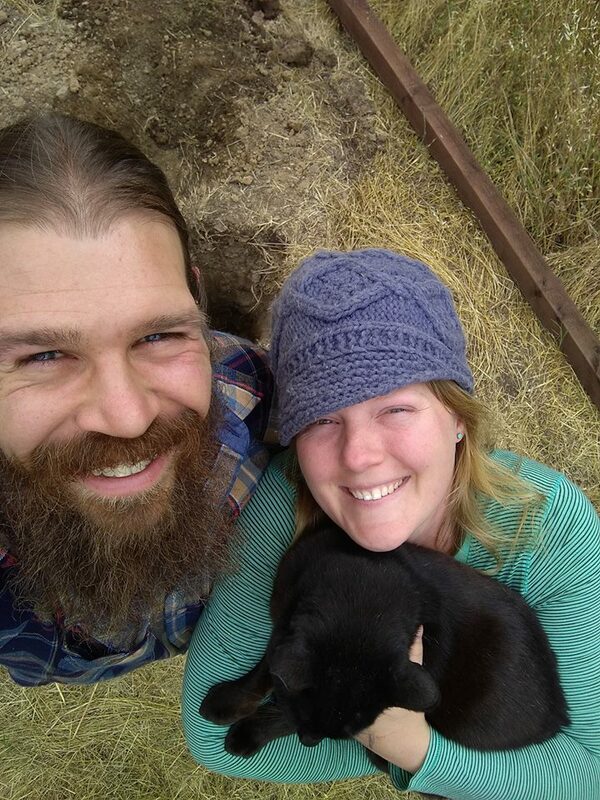 We moved in order to find a piece of land, and bring our dream farm to life. PS Farms is starting as a basic kitchen garden, with plans to expand over the next few years to include brambles, fruit and nut trees, livestock, and grain. Our first focus will be raising the rare chicken breed, French Copper Marans, to help us capture a niche market for eggs. Next, we’ll add hot pepper production, including selling Jon’s proprietary strain to seed distributors. Once the trees bear fruit, we will sell unique jams and jellies at the local farmers market, along with excess fruit and vegetables. Through our campaign, we will raise $45,000 which will allow us to secure the land, install the solar system, and refurbish the tiny home on the property bringing it back to a livable condition. If only 1,800 people just donate $25 each (the cost of a week’s worth of Starbucks coffee trips), we will be able to reach our goal and start to change our world for the better. So please donate, share and like PS Farms on Facebook, and help us get the word out! Every donation helps and we have some rewards for specific donation levels. Most of these rewards will be sent out within 3-4 months of the end of our campaign unless otherwise stated. 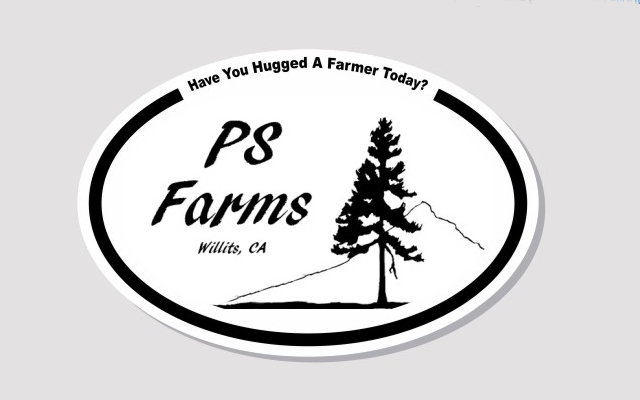 -The first 2,500 people to donate at both the $25 and $50 level will receive a PS Farms bumper sticker. This reward level is only available to those in the United States. -Anyone who donates at the $100 will receive a personal phone call from Jon or Anna thanking you for your donation. Be sure to message us your phone number after you donate. -The first 15 donors at the $400 level will have a farm animal named after them. This reward level may take up to a year to take effect. 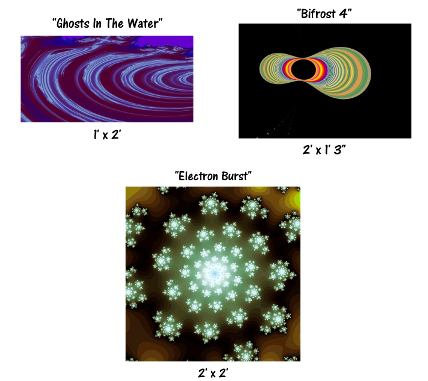 -Those that donate $500 can choose between three unique signed prints of Jon's fractal art. Each fractal takes over 50 hours to complete and is printed on high quality photographic paper using lightjet technology. Send us a message after you donate as to which fractal you would like. -For those that donate $1,000 or above, they will have their names etched on a metal plaque that will be hung at the farm for as long as the farm is in operation. Hello supporters! Sorry it's been a while since we updated you all! We survived our first winter on the farm and spring has been busy but we're up and running! This year's crop will be small as we continue to focus on building the infrastructure. We've planted 38 pepper plants out of 10 different varieties, 4 tomatoes, loads of carrots and beats, strawberries, blackberries, grapes, and a bunch of flowers and herbs. 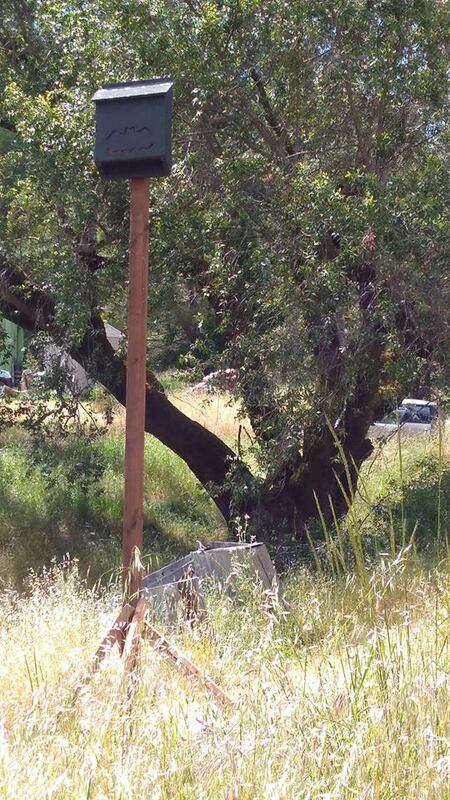 We've also just installed our first bat house to bring in some more beneficial predators onto the farm. The fruit trees that we've been nursing back to health have started to fruit and we're already harvesting Cherries! The rains this year really helped us as our spring is still producing upwards of 1,000 gallons a day. But that doesn't mean we can waste water which is why we are currently experimenting with two type of water reduction methods to see what the results are. Thank you all for your continued support and sharing of our Go Fund Me campaign! Thanks to those who have donated and to those that wish to still donate! One of the rewards has just arrived and will be going out to our donors soon! We are still accepting donations and if you know someone who would like one of these bad boys let them know! 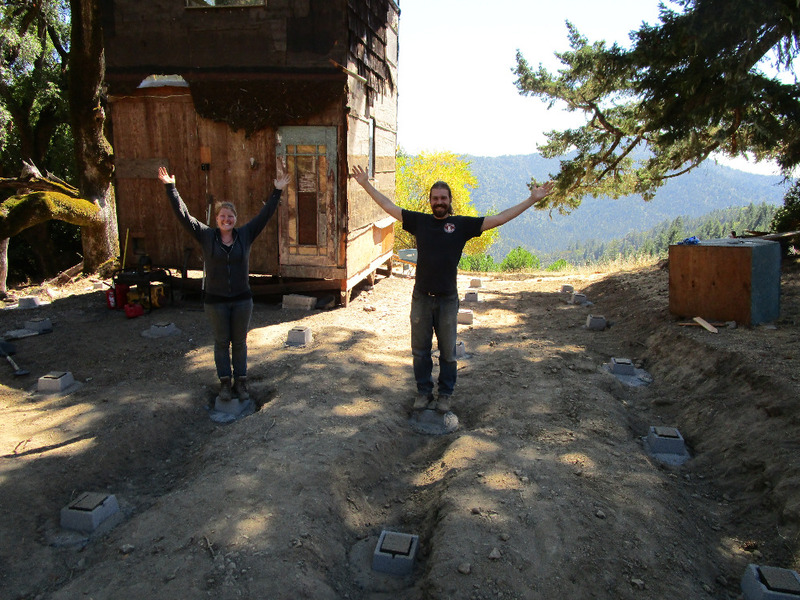 We officially have put in the foundation for the expansion of our tiny home! Over a week and a half, we hand mixed and poured concert, and placed 32 pier blocks! It's starting to come together! Hi folks!!! Wanted to post a little update on the farm progress. We had a slight set back about a month ago. We hired someone to do some grading for us and in the process they knocked our tiny home 3 feet off it's foundation! Eeek!! We were able to get someone out to put it back in place but unfortunately this put us a month behind on our build out. So we've been hard at work getting ourselves back on track with the renovations! It's been an interesting challenge and it feel great to finally be getting our hands dirty! We still are accepting donations so be sure to share our link ( www.gofundme.com/psfarms ) and visit us on Facebook ( www.facebook.com/psfarms ) to see more updates for the farm! Thanks so much for everyone's support! Receive an emailed MP3 Ringtone and custom Voicemail done in a recognizable celebrity impersonated voice. Have one of our farm animals named after you! This reward may take up to a year to come to be as we get up and running. Choose between 1 of 3 of Jon's large format, signed fractal artworks printed on photographic paper. Jon will contact you to find out which one you want. Have you name etched on a metal plaque which will be displayed on the farm for as long as we're in operation. Merry Christmas! And a joyous and prosperous New Year! Love you guys! Thanks for the update today, Anna! I know everything is going to happen in the highest possible manner. Keep it illuminated with the Light! Love you both! Good luck you guys!! My wife and I have been working towards the same goal and would love to talk to you guys!! Glad it is open-ended so I, and I hope many others, can continue to donate as the days and weeks go by.